Designed to accept both analog D-sub and digital DVI-D inputs, the NEC-Mitsubishi Multisync 1860NX offers the best of today's technology and a strong lead on tomorrow's. The TFT active panel LCD provides sharp 1,280 x 1,024 resolution, fine 0.281 mm dot pitch, and a rich 350:1 contrast ratio--all of which add up to incredibly clean, crisp detail. 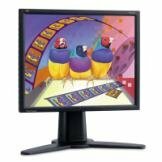 The Samsung SyncMaster 193p+ is a 19-inch analog and digital TFT/PVA-LCD monitor delivering crisp, clean text and bright, vivid colors. This display offers a 1000:1 contrast ratio, 250 cd/m2 brightness, 1280 x 1024 resolution, 178/178 degree viewing angle, scanning frequency of 30-81 kHz horizontal and 56-75 Hz vertical and 0.294mm pixel pitch. This unique display offers Samsungs proprietary MagicTune&trade; software with asset management for a truly hands-free experience and MagicBright&trade; technology for enhanced viewing by application. 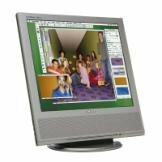 The SyncMaster 193p+ also features MagicPivot&reg; software by Portrait Displays for rotating from landscape to portrait viewing. It has ultra narrow and slim design and has a MagicStand that features dual hinge with pivot and height adjustable capability. 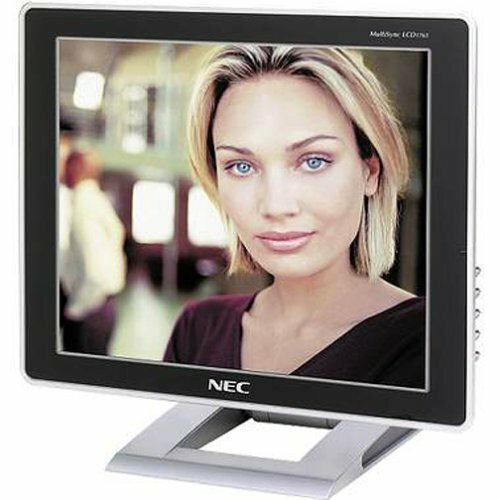 The silver SyncMaster 193p+ delivers a maximum of 16.7 million colors. 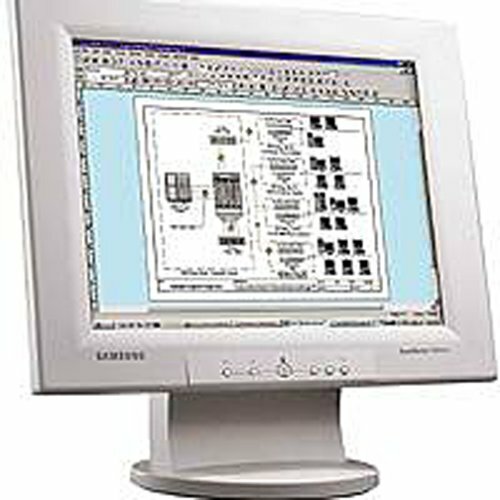 The monitor is Windows Plug and Play DDC 2B and DDC/CI compatible. To ensure years of reliable performance, the SyncMaster 193p+ is backed by a three-year parts and labor warranty, including the backlight. Toll-free, 24/7 support is also available for the life of the display. I really like this monitor.I've had it for three months now and I have to say it performs even better than I expected.The picture is clear and bright, there were no dead pixels, and it was very easy to set up.I didn't have to hassle with a mail-in-rebate and it looks very nice with my Compaq computer. I even got a discount on some other computer accessories off a flyer in the box. 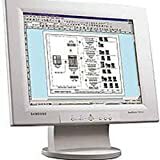 I was originally introduced to the Envison brand at work, we had a few hundred of them there fro all of the employees, and when it came time to purchase one for myself I asked out IT manager whose I should buy, and he told me Envision. He has purchased other brands with varying levels of success but finds that the quality is better across the board with Envision, he has also had the best luck with Envision customer service. SO based on his recomendation I purchased this monitor and have had great luck with it so far. I will definetly purchase from Envision again. I purchased this monitor a month ago from another store (I should have gotten it here because this is a better price) and the salesman told me it was a brand new model so I am not sure about the other review. It has worked great for me so far. I don't do a lot of gaming but I have had no problems with surfing the Internet or any of the Office programs I use a lot. It has been very bright and clear and I would definitely say it is nicer than the "name brand" I use at work. 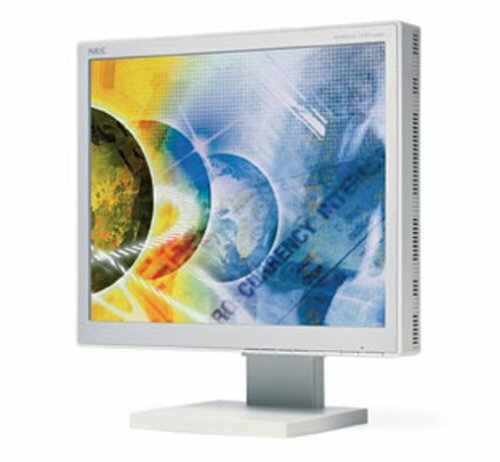 LCD monitors have become popular both for their small profile and better image quality when compared to traditional CRT monitors. The Vx715 is a sleek, stylish model that delivers a bright, accurate image and plenty of useful features, such as wall-mount compatibility and dual analog RGB and DVI-D inputs. This 17-inch monitor has a 1,280 x 1,024 maximum resolution and 0.264 mm dot pitch, resulting in crisp, accurate images, while a 450:1 contrast ratio and 300 cd/m2 of brightness make text and graphics easy to see. The 25 ms video response time means that motion graphics are reproduced smoothly, at broadcast quality, making this a perfect choice for gaming, watching DVDs, and more. The 140-degree horizontal and 130-degree vertical viewing angles permit easy viewing from a variety of positions. sRGB color management helps you get accurate screen-to-print colors. You can also easily adjust the monitor's setting with the on-screen display menu. The AC 100-240V, 50-60Hz power supply consumes only 35 watts of power (maximum) and is TCO'99 and Energy Star compliant. Compatible with both PC and Mac operating platforms, the Vx715 comes backed by a generous three-year warranty. I've used flatscreen monitors on my Dell laptop and use a Dell LCD at work.I'm using it at home, replacing a 17" CRT.This monitor is far superior to all these.More vivid colors and as expected a larger actual image compared to the CRT.The viewing angle is much better than the other LCD's I've used.I can view the screen from 45 degrees to the side with minimal loss of image color or clarity.On my laptop, moving just 25-30 degrees to the side and the image is mostly black. Some reviews have suggested a potential downside is that the height of the stand is not adjustable.However, on my standard computer desk, the height is nearly perfect, and the monitor does tilt through a sufficently broad range in case the desk surface were too low or even tilting down if it were too high. I'm very pleased with the Viewsonic VX715. 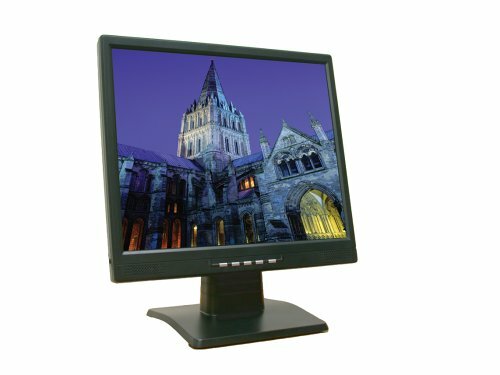 I've been researching and looking at 17" LCD monitors for a month, looking to upgrade from my puny, no-name 15".I'm quite pleased with this little gem.Very easy setup.No dead pixels.I found the adjustment controls much more user-friendly and intuitive than several monitors that were more expensive and didn't necessarily have better picture quality.The white is blindingly true white, not dingy or yellow or washed out, as on many monitors I looked at.Text is crisp and clear, something that's important to me.Colors are rich and vibrant.I feel that the stand is sturdy and stable, and it's the right height for me - not the highest, but definitely higher than some others I'd looked at.And I got it on a one-day only sale price that saved me $50!It doesn't get better than that. I received this monitor for Christmas and I have to say this is the best LCD I have ever seen. It's picture is so crisp and clear, with very brilliant colors. I compared this one in the store with 5 other brands and they don't even come close to the quality of this one. The stand is sturdy, and there are no dead pixels. It looks like the price has gone up since I got it, so it might not be the same value that it was previously. But the quality is definitely decent. 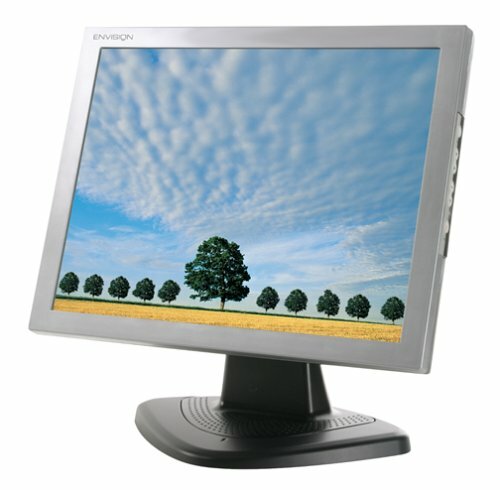 As I've seen people recommend for other LCDs, you should run this monitor in the native 1280x1024. Otherwise, pixel interpolation will blur the text. If you are using the monitor to play video games, they will almost certainly run at a lower resolution, and thus be interpolated. But interpolation is fine for graphics and video games. It hurts the eyes to look at the interpolation for text, however. Some people may not want to run at the full 1280x1024, since it makes window widgets and text tiny. So these people will have to settle with interpolation, which make be even worse. Another person mentioned damage upon arrival of the monitor. I've had no such problem. The install instructions are skimpy. I'm using this monitor under Linux and I was suprised to find a Linux section in the installation guide. But it was little help. In fact, the technical specification could not be found among the documentation, and I had to go back to Amazon to figure out, i.e., what the horizontal and vertical refresh ranges were so that X11R6 could find the optimal refresh rate of 76Hz. Interestingly, the box claims compatibility with Macintosh and Solaris, but I definitely haven't tested this for either. Going from a CRT, I immediately have relief from the flickering that is inherent to CRTs. But my eyes will still have to get used to this monitor. I was quite disappointed by the picture quality on this monitor.It was better than my elderly CRT monitor, but nowhere near as crisp as the LCD display on my HP laptop.Also, one of the navigation buttons on the front display was inoperable. The viewing angle, adjustability, and overall form factor of this monitor was very nice.It's a shame the most important part -- the screen itself -- was so unsatisfactory. with so low price, i can not believe that I can buy so good an LCD. it is so worth it. very clear and crisp. the viewable screen is wide.easy to set up.The Autoadjust fuction makes it very easy to set the LCD to it best performance.The only problem i can find now is that some times during screen saver, it becomes blank,just leaving some lines on the screen, without any other images.I do not know why.but if you use autoadjust fucntion, it becomes Ok instantly. The monitor itself seemed to be great, but when it arrived the box was barely taped shut. Then, when I opened it, the monitor box was already opened and all the styrofoam was demolished. Upon further inspection, it was clear Amazon ordered the monitor from another online merchant and then repackaged it. Unbelievable. Do not order large items from Amazon. It's been almost four weeks since I sent it back and I've still not heard a single word about it. Oh yea I had to buy the monitor locally since it was a gift. Now this monitor is going to cost me $1600 thanks to amazon. I've had my Sony monitor about a year and a half.Worked fine up until that time when it started getting wavy vertical lines which soon covered most of the screen, making it impossible to view.I contacted Sony about replacing or fixing it.Basically the 3 year warranty gets you a refurbished model to take the place of the one you have.I won't mention the amount of time spent on hold listening to music and stepping through the symptoms before the tech decides, it doesn't work properly.Unfortunately, the refurbished model arrived yesterday, worked for about 4 hours and now it goes blank like it's going into sleep mode.You can revive it by pressing the power button off then back on.Except that it doesn't last more than a few seconds now.Oh well, guess I call back, spend more time on hold and explaining why this one doesn't work properly and get another 'used' model to replace this one.In the meantime, I plug in my 7 year old Gateway 2000 Vivitron and it works fine, just takes up desk space.Just thought you'd want to know what a Sony 3 year warranty actually provides. This LCD is an excellent combination of a reasonable price point ..., beautiful design, and excellent performance. We replaced a 21" hulk of a CRT with this and, to say the least, it has redefined our workspace.My wife raves about the clarity and brightness of the picture, which she uses almost every night to edit legal documents for work.This is an excellent monitor for every day web-browsing, documents, or spreadsheets.I have made the switch from CRT to LCD and won't be going back. This is a really nice little LCD TV.I'm using it in my kitchen and love it.Great, clear picture and takes up very little space.Very pleased with this. Don't make the same mistake I did! I signed up for one of those get-Samsung-LCD TV-free "offers" that are continually being posted here. I was looking for a 13 to 15" LCD screen to hook-up to my son's XBox gaming system for traveling in the car.Now they can play XBox games, and, along with the XBox-DVD-player/remote the kids can also watch DVD movies.Compared to other automotive solutions that are sold for DVD movie/gaming combinations .... I think that this just might be the ultimate solution.I plan to "securely hang" the Samsung SyncMaster 510MP 15" LCD Monitor between and behind the 2 front seats of my minivan.They'll be able to play dual or split-screen type of video games such as Halo.Watching movies from the 3rd row of seats will also be possible.Basically the Samsung SyncMaster 510MP 15" LCD Monitor is plug and play for hooking up to the XBox or Playstation; just plug the video/audio inputs - yellow, red and white into the matching female holes in the SyncMaster 510MP.Nothing else is required other than having a "power converter" to plug-in the monitor and the game system. 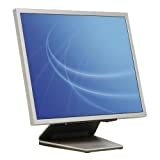 I bought the 510MP to use as a backup PC monitor and as a LCD TV.It works well in both roles.It is an exceptionally good PC monitor with a clear picture and good color.There was also no need to install any video drivers since it is a plug and play device in Windows XP.There is no printed user manual.The manual is contained on a CD ROM as a PDF document.At first, I couldn't get all TV channels available on my local cable.The manual didn't make it clear that the cable setting was "STD," not the default "ANT/CATV".Changing this setting and doing a auto programming fixed the problem.The TV picture is good, but not quite as good as when used as a PC monitor.The remote control is one of the small ones like you would find for a Bose radio, but fully functional.I currently have the 510PM connected to both my PC and the cable TV and can switch between the two by just hitting the source button on the remote. I bought this monitor in May. The only issue was single faulty pixel (it couldn't turn off, and would always show blue, but would not show up if any composite color, like white, was needed). I haven't seen a need to return it because the colors are bright and vivid, games and movies play fine, and the monitor looks great. The design itself is very sleek, the buttons are very subtle and out of the way. This can be annoying when initially setting it up, but after adjusting the brightness, the buttons just disappear into the thin bezel. I paid around $500 (after shipping) for this; it's a great monitor, and would be a bargain at that price or less. Awsome product, best purchase since a long time. I was using two laptop computers and sinec I work on them all day (one Apple, one Dell), after 8+ hours of use, my eye were always irritated in the evening (the worse one to use is a dell laptop, very bad screen).My vision in the left eye actually dropped of 0.75 after using that dell laptop screen for 3 months. Then, I bouth the samsung 172x lcd display, and it's incredible.I plug the two laptops with the lit closed to both DVI and RGB input on the display, so I can switch between them with just a button click on the monitor.The image is superb, no visible ghosting, NO dead pixels (after a month os use so far), and it's so relaxing for my eyes, they don't hurt at ALL anymore.It's like using your computer for the first time, it's the most healthy purchase I done with computer equipment. I was so happy with it, I bought another samsung monitor for my wife, and then again, no dead pixels, I'm very pleased with the quality of the monitors, I recommand them to everyone.I now think that amonitor is the best investment you can do with a computer, don't risk your eye sight! I bought a Samsung flat-panel television in March, and it the panel went dead in April.I brought it to a one of Samsung's certified dealers for repair, and waited and waited. Finally in May, I was told that the the television panel was indeed defective and couldn't be fixed, so the manufacturer was obligated to replace it under the warranty.It's now September, and guess what, I'm still waiting for the replacement.Buy from Samsung at your own risk.From my own experience, Samsung does stand by their products. For a few dollars more, buy one of the better, more reliable brands. I just fired up this monitor three days ago and I don't want to leave my office.I am a regular windows user and semi-technical person.Not a certifiable geek.This review is from the perspective of a 39 yo guy who loves using computers but wouldn't build his own and isn't an overclocker. There are many reviews that you can read on the net that cover this monitor from a gaming perspective.Initially these reviews panned the Samsung 172x for ghosting and blurring during game play. Don't pay too much attention to these reviews.Apparently that was due to Samsung shipping models that had a 25ms response time.The version that you will receive has a 12 or 13ms response time.That means it is practically as good as any CRT you can buy.Color saturation and crispness is incredible.This the case whether you hook this up with the VGA cord or, if you are equipped with an advanced video card, DVI.Both are supported and you can switch between them.There are no hookups for S-video, cable or component video.Do not plan to put this in your kitchen to watch tv.This is meant to be hooked up to a computer. This is the most beautiful consumer product that I have bought in some time.The thin bezel, the slim, narrow dimensions, the way the cords can be hidden so they don't clutter up your desk.This is one beautiful monitor. If you want to buy a great LCD monitor for your office and are willing to pay $600 More than the typical 17" LCD by at least $100), buy this thing.You will not be disappointed. Although Samsung claims a revolutionary 12ms response time the overall gaming experience was no better than a 2 year old 15" TN+film Samsung Syncmaster 151S.I'm not using the bogus PVA-based sample either, this review is based on a retail version purchased in Taiwan. What IS most disturbing about this display is that out of the box: 1. whites are WAY too blue (probably 10,000K) and 2. the internal gamma circuitry is set way too high.You can fix problem 1 only in analog mode because the color temperautre controls are completely disabled in DVI, and problem 2 can only be remedied if your video card drivers support gamma correction.On my system I had to lower the gamma to around 0.65 to produce a similar image to the old 151S. If you video card drivers don't support gamma correction, don't get this display, because everything will be permanently washed out.If your video card drivers don't support indenpdent RGB color correction, and you want to use DVI, don't get this display, because your display will be permanently blue. Brilliant graphics with multimedia versatility. The 19" ViewSonic VG910b LCD display combines a refined slim-bezel design with the quality you have come to expect from ViewSonic. OptiSync&reg; technology supports both digital (DVI) and analog (VGA) signals for added versatility and connectivity. Enjoy a true multimedia experience with dual built-in 3-watt speakers, delivering rich stereo sound to your desktop. 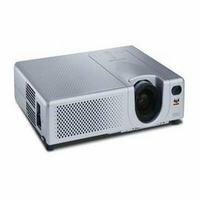 All this combined with ClearMotiv broadcast-quality video featuring 25ms response, an ultra-high 600:1 contrast ratio (typ), and 170 viewing angles make the VG910b an ideal LCD display for home, small/home office, corporate, government or education use. This has the potential to be a real unique and useful product.2 video inputs, 1 SVGA, 1 SVHS, and a touch screen to boot. 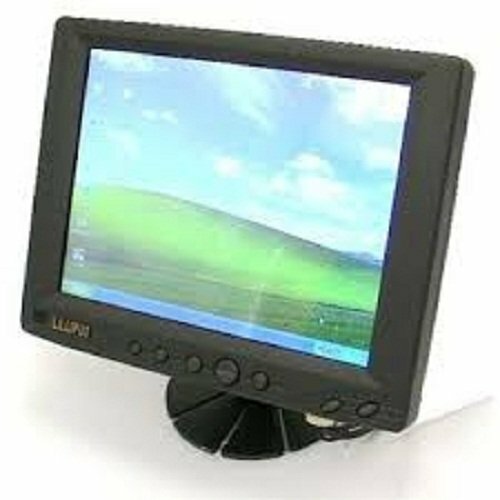 This is (AFAIK) the only portable LCD monitor on the market, and it is truly PORTABLE, as in designed to be that way. 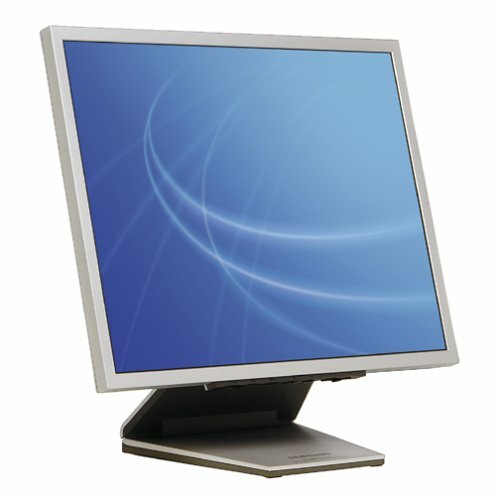 When the base folds down, the whole monitor and power supply easily fit in a 16 inch or 17 inch sized notebook case!!! This particular feature (portability) should be emphasized, as it is AWESOME for people who want a portable, UPGRADEABLE system. (Notebooks are portable, but they are also expensive and NOT upgradeable). So you can get an SFF case (antec aria for example) and build yourself a powerful desktop system that fits in two small bags!!! This is a GREAT monitor at any price.I recently built a system for my brother and bought a cheap flat-panel MAG monitor to go with it.Well, the color produced on the MAG was all washed out.And if you looked at it at any angle other than straight on, it was much much worse.Which is typical for flat-panels, but on the MAG is was excessive. I took it back and carefully looked at all the flat panels, and this NEC was the ONLY one that looked great at every angle.And the color reproduction is simply jaw dropping.DVDs look great, games play great, and it's real easy on the eyes.